The holiday cottage of "Bramhill Barns" can be found in Burton Pidsea in North Humberside. 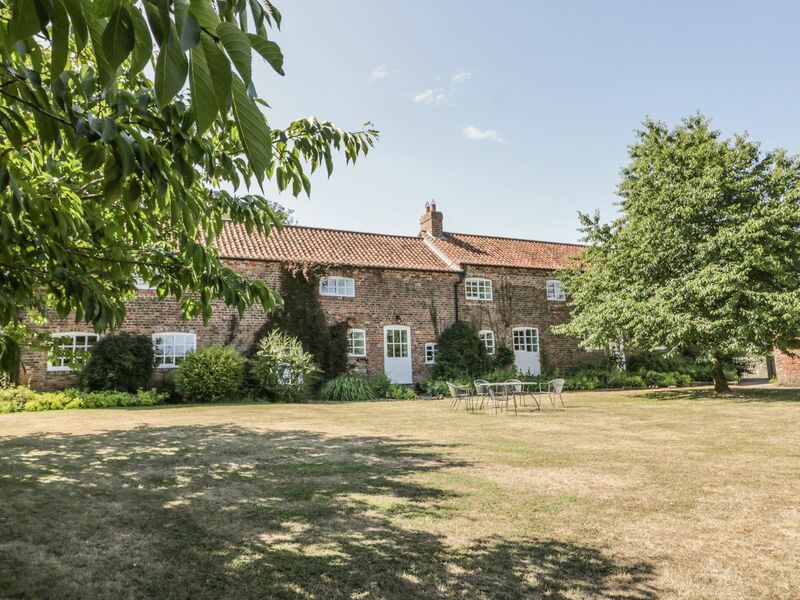 Bramhill Barns can sleep 13 people with 6 bedrooms to sleep your holiday party. Bramhill Barns has a bedroom makeup of: Six bedrooms: 1 x double with day bed and en-suite shower, basin and WC, 1 x double with en-suite shower, basin and WC, 1 x double, 2 x twin (one with en-suite walk-in shower, basin and WC), 1 x single with pull-out stacker bed. Bathroom with bath, shower, basin and WC. Ground floor basin and WC. Kitchen with dining area. Utility. Dining room with woodburner. Sitting room with woodburner. Conservatory. Garden room with hot tub. Games room with full-size snooker table. Biomass central heating with woodburners. Range cooker with two electric ovens and gas hob, microwave, American-style fridges, freezers, washing machine, tumble dryer, dishwasher, 8 x TVs with Freeview, WiFi, selection of books and games. Bramhill Barns is a good size for friends and family to enjoy. These are the reviews for Bramhill Barns. There are 21 reviews. If you're looking for other cottages around Bramhill Barns, we've got some cottages below which may take your liking. There are 29 cottages within 10 miles of Bramhill Barns - and they have reviews too.